Some stories can be extremely compelling and make for truly heart-wrenching drama, but no matter how real the story is or how much we feel for the characters, there are only so many angles and so many ways to tell a story. After a school residual, The Learner family stops to get gas and their 10 year old son goes to release fireflies by the side of the road. At the same time, a man returning from the Red Sox game is more interested in his cell phone than the road, and runs the young boy over. From there on the movie is as you would expect it to be. One side is devastated while the other is in cover up mode. The police investigation, vigilantism, bereavement, and the justice system get involved in what turns out to be little more than a lifetime movie of the week. 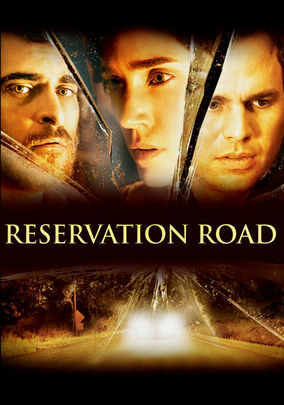 Joaquin Phoenix is fantastic as the grieving father out seeking revenge, in the kind of performance that really makes you feel for the guy, but aside from that, Reservation Road is just a very predictable film that is out for one thing, your tears. It's a sad story told from every possible angle, covering every possible thing that could happen in a situation like this, and it's definitely preaching about the dangers of distracted driving. If not for the huge cast, this could have easily been a lifetime movie, as the writing was that predictable and amateurish. The bottom line on Reservation Road is that it's a preachy, predictable, tear-jerker, without much substance, probably not worth your time unless you like that kind of thing.